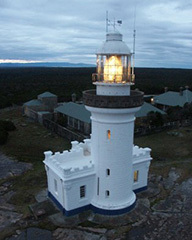 New South Wales | Lighthouses of Australia Inc.
NSW had something that no other state in Australia had … James Barnet. 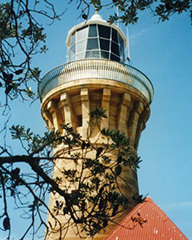 His graceful towers stretch the NSW coastline from Greencape to Fingal Head. 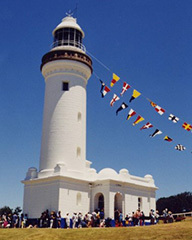 Before Barnet, Frances Greenway and Governor Macquarie made our first lighthouse (Macquarie 1818) a magnificent structure mainly copied when replaced by the current tower in 1883. 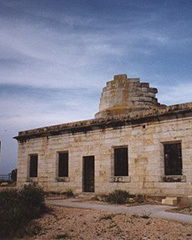 Then, Alexander Dawson designed the once beautiful, but now in ruins, Cape St George lighthouse. 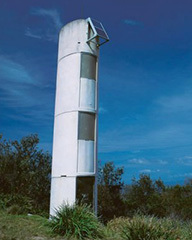 Barnet obviously learned a lot from these earlier designs. 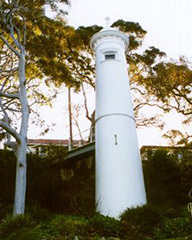 After Barnet, Charles Harding built three more-modern towers, in concrete, at Point Perpendicular, Norah Head, and Cape Byron. 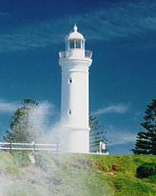 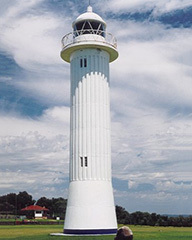 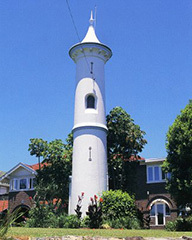 13 of the lighthouses along the coast are maintained by NSW Roads & Maritime Services. 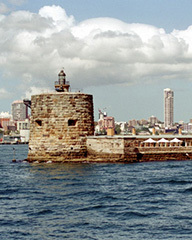 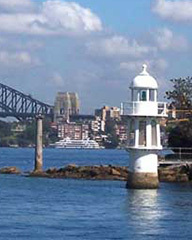 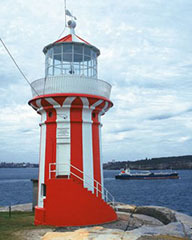 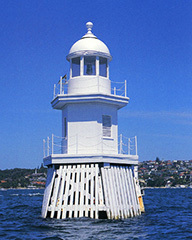 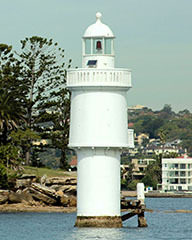 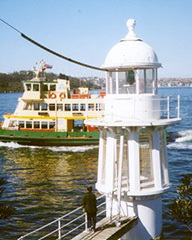 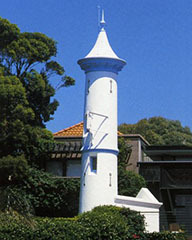 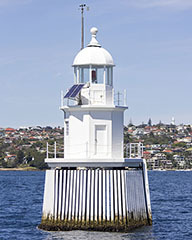 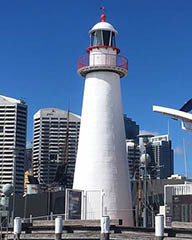 Within Sydney Harbour lighthouses are maintained by Port Authority NSW. 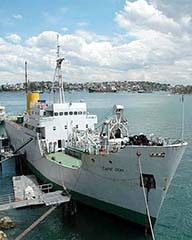 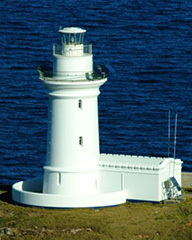 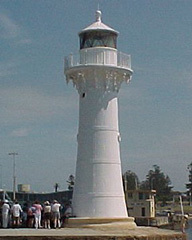 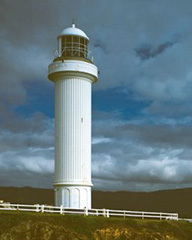 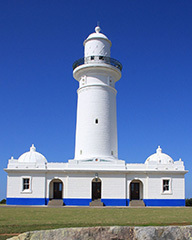 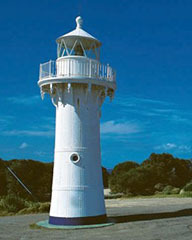 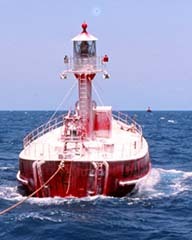 AMSA (Australian Maritime Safety Authority) look after the major coastal lighthouses. 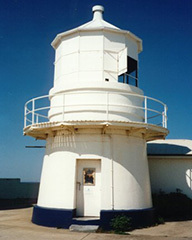 It is a great state for lighthouse visiting. 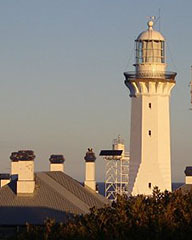 National Parks lease many of the lighthouse keepers cottages for holiday accommodation. 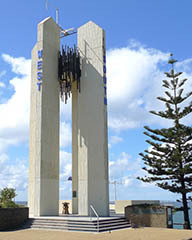 This book is the culmination of oral history research conducted between 2008 and 2011. 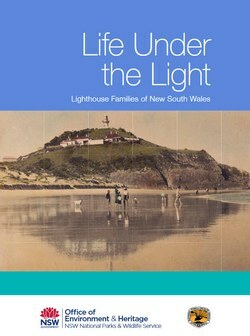 Over 30 former lighthouse keepers and their families were interviewed during the project, providing a rich resource through which to enhance understanding of the NPWS Lightstations. 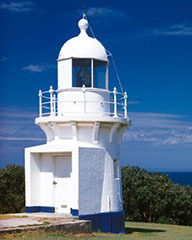 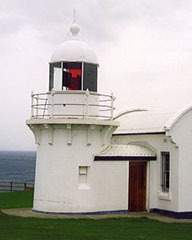 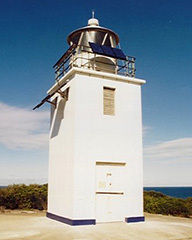 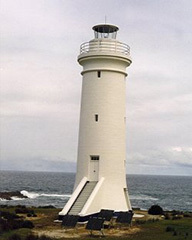 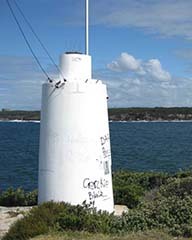 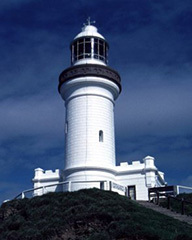 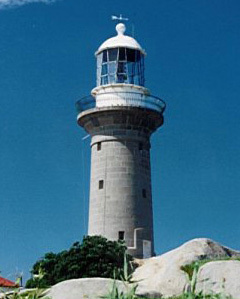 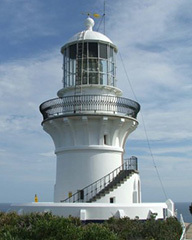 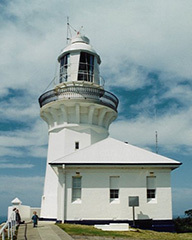 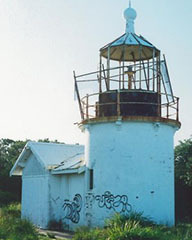 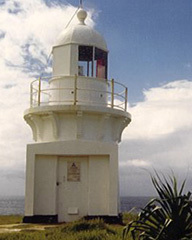 Seven of the ten lightstations managed by NPWS were included in the research including Cape Byron, South Solitary Island, Smoky Cape, Sugarloaf Point, Point Stephens, Montague Island and Green Cape Lightstations. 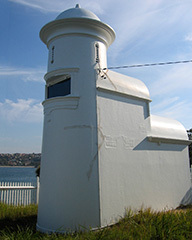 Many of the open lighthouse have small displays in the service room or tower. 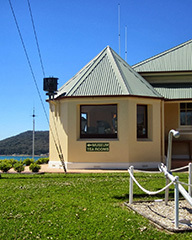 The following locations have museums separate to the lighthouse itself. 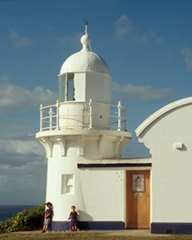 National Parks have accommodation available at Cape Byron, Smoky Cape, Sugarloaf Point, Montague Island and Green Cape.